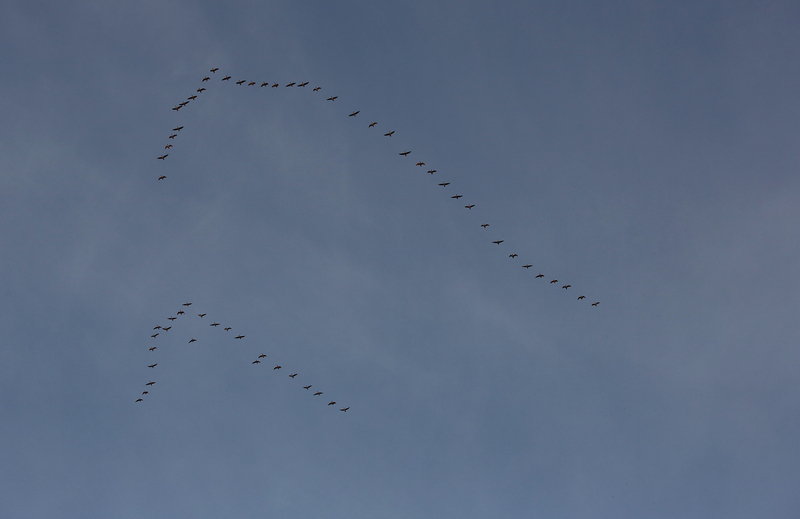 With freezing temperatures and the approach of winter many of the sandhill cranes have already moved south from the Isenberg Crane Reserve as they continue their winter migration. 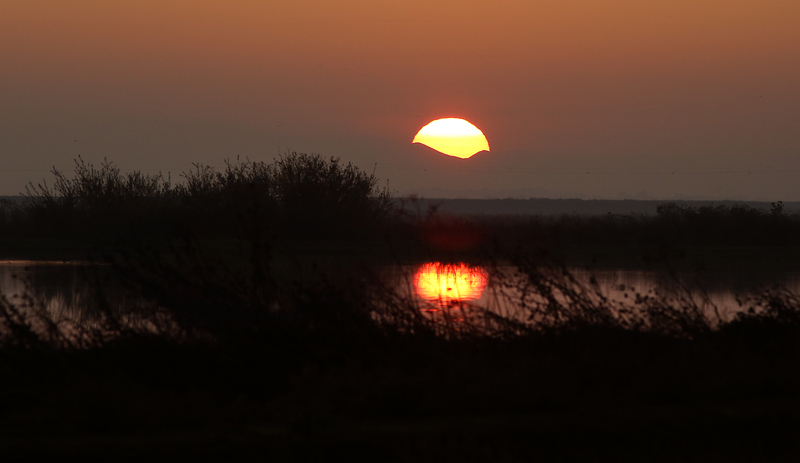 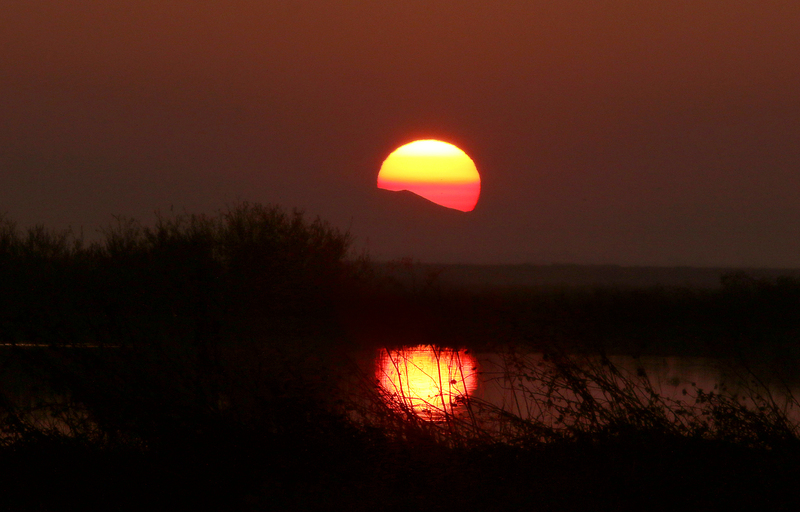 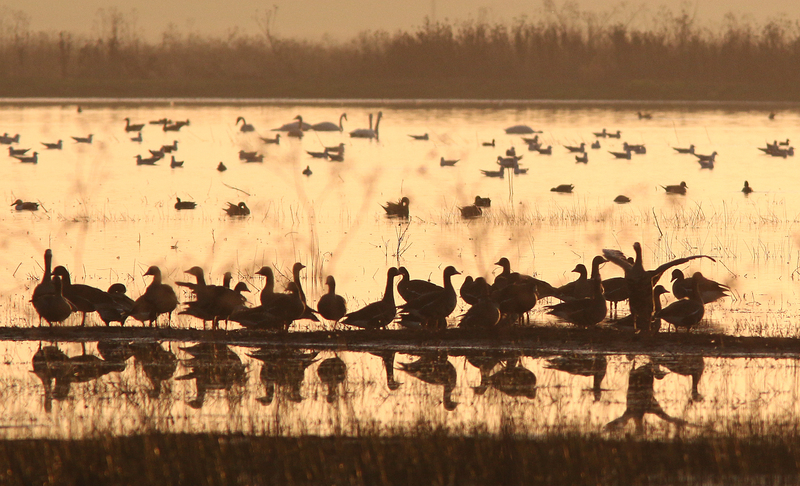 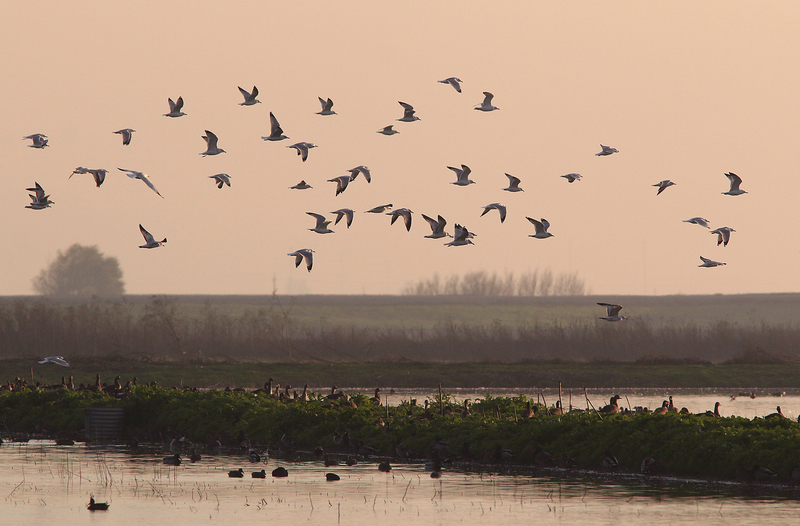 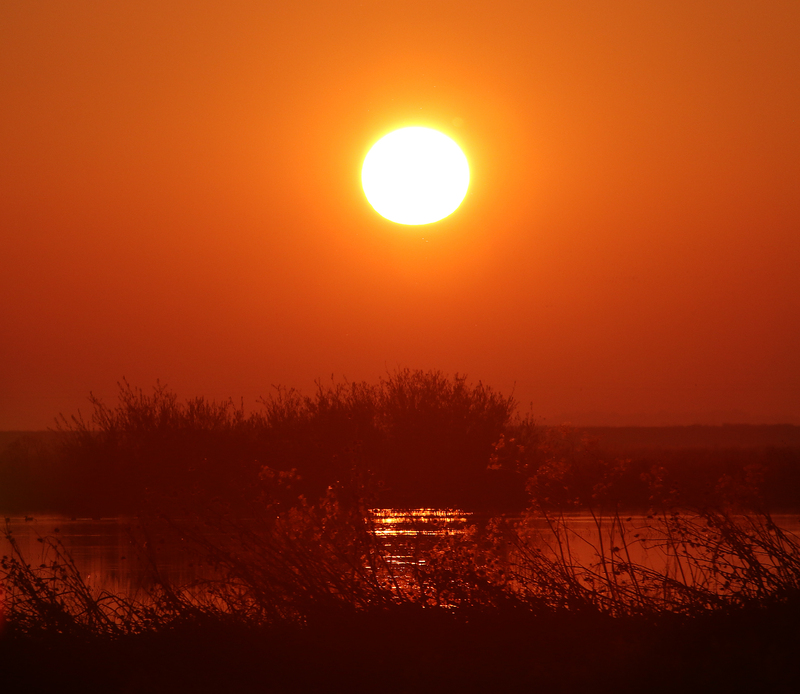 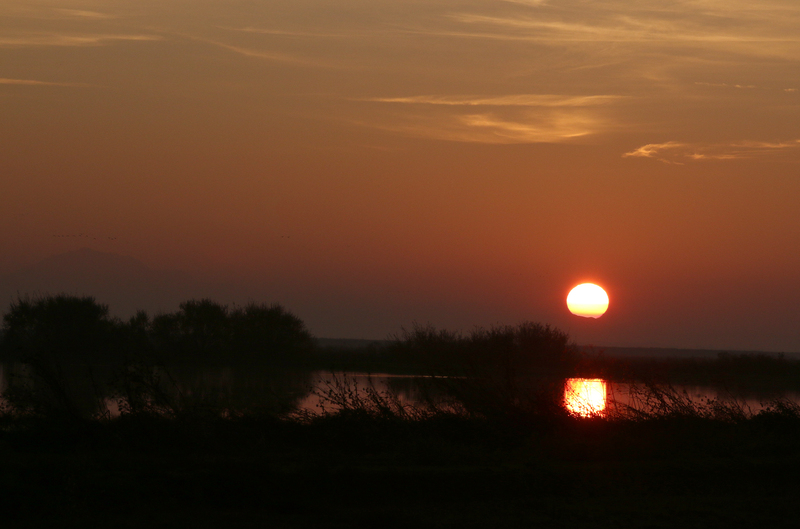 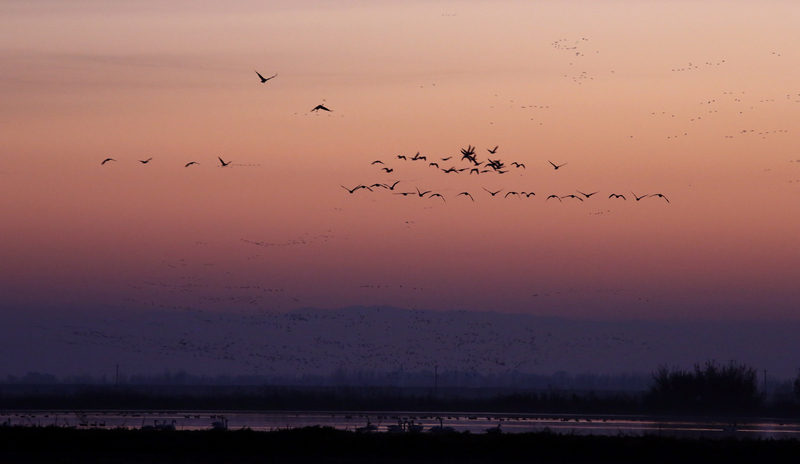 A trip to the wetlands for a sunset view of their arrival found more ducks and geese taking up occupancy in the water. 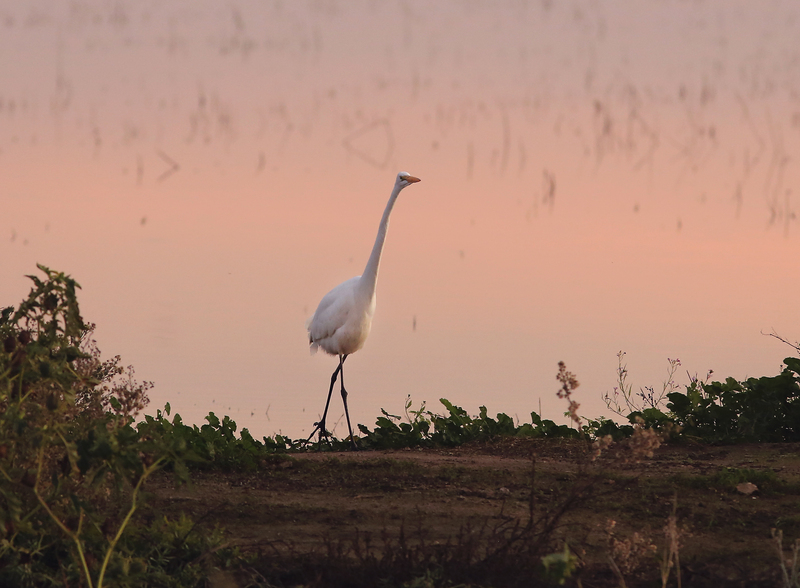 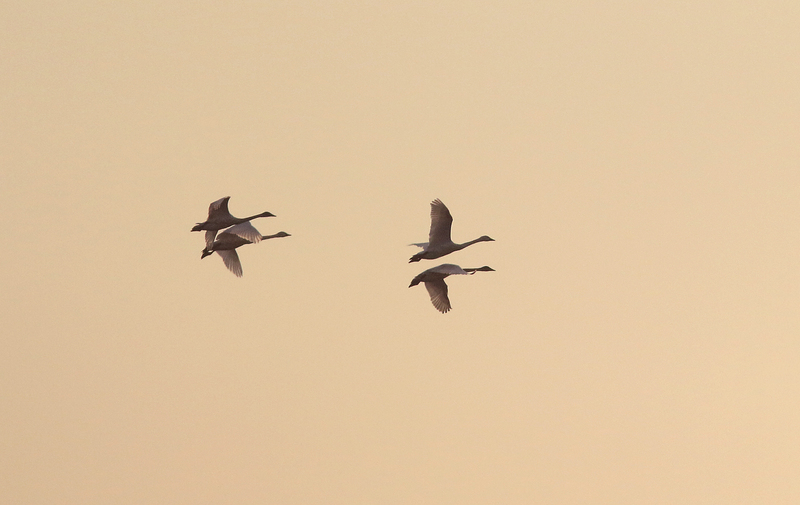 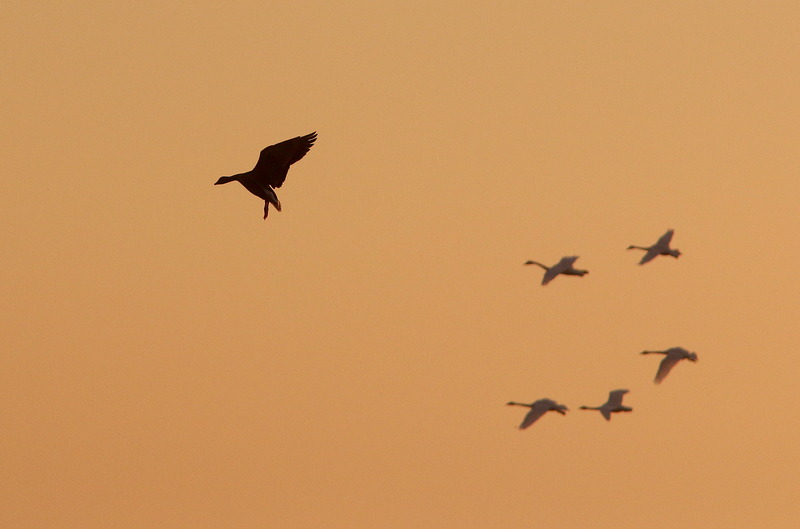 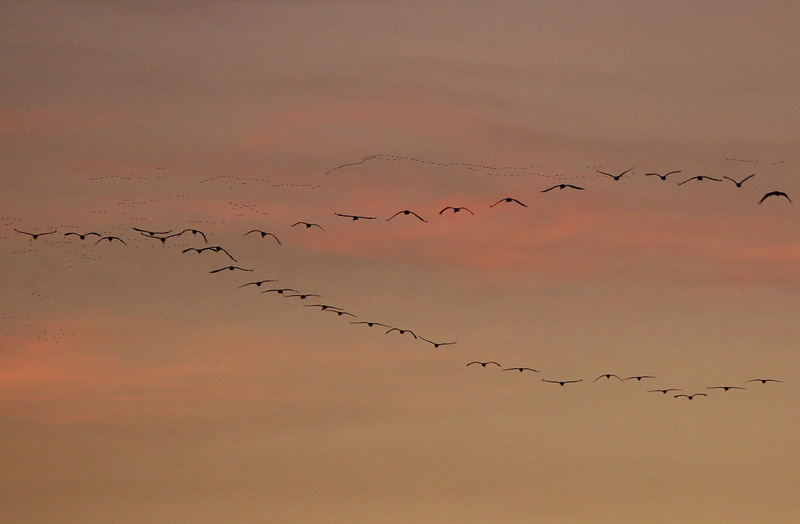 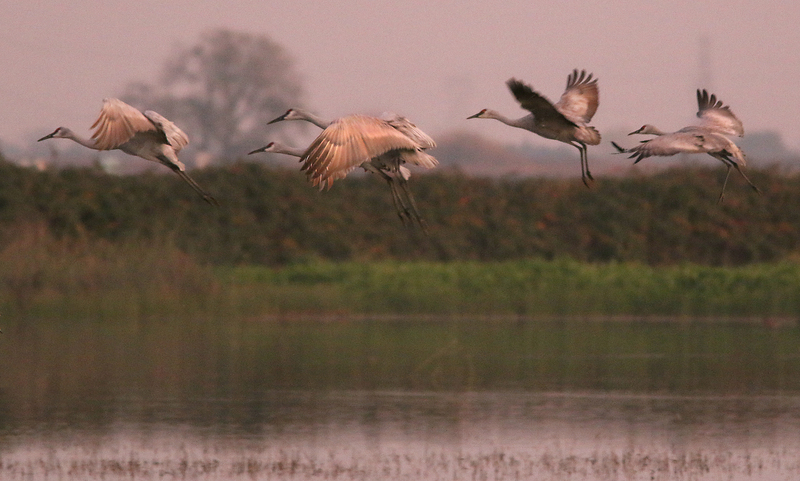 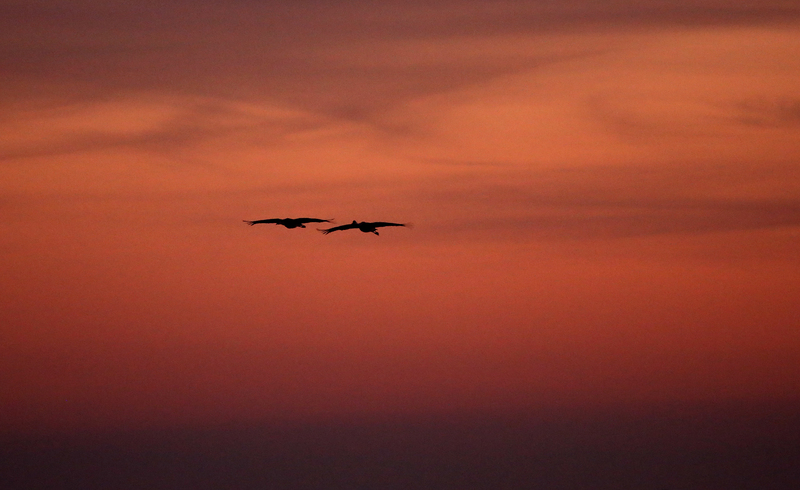 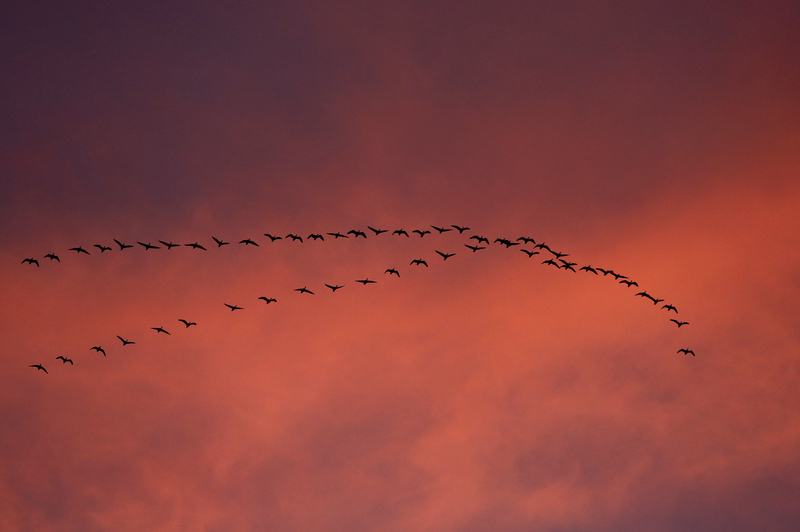 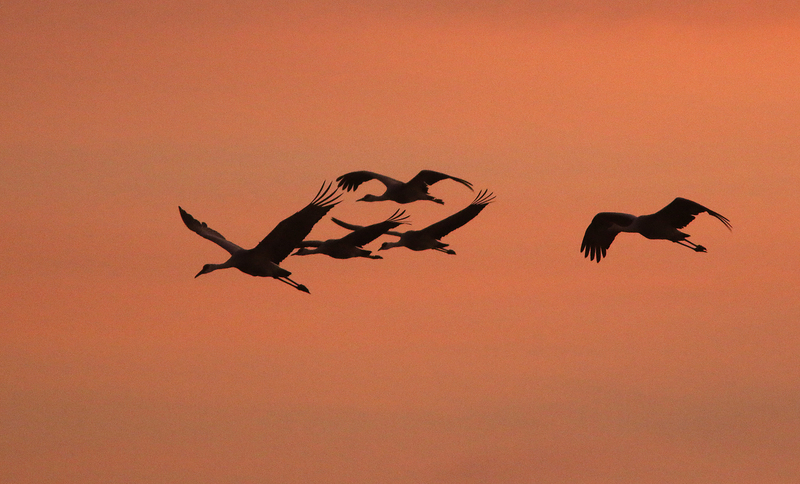 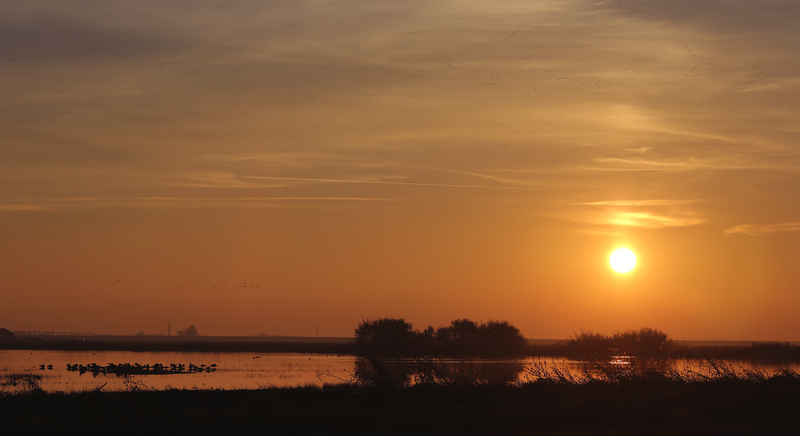 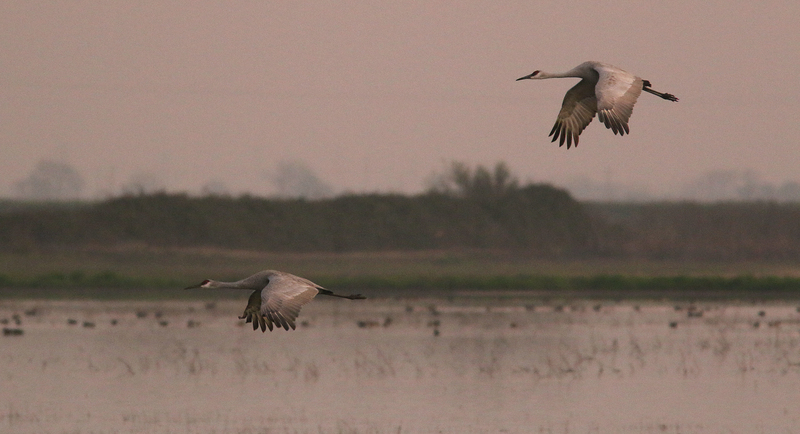 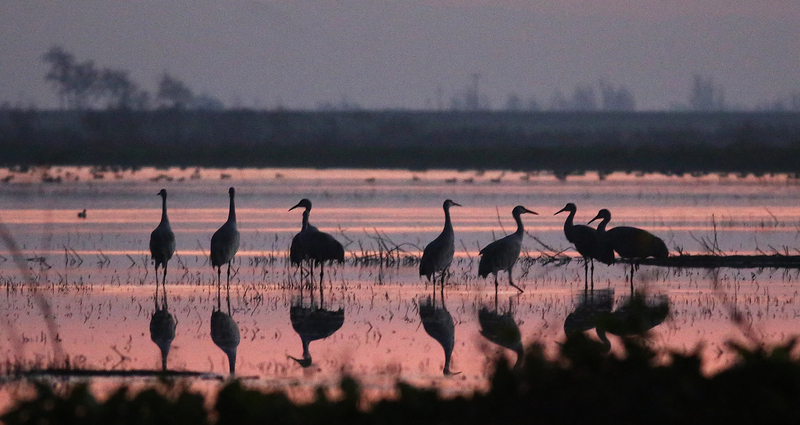 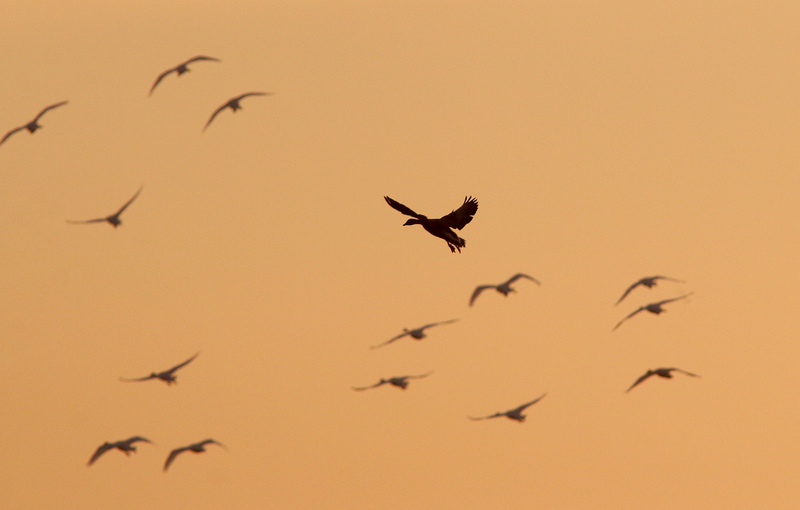 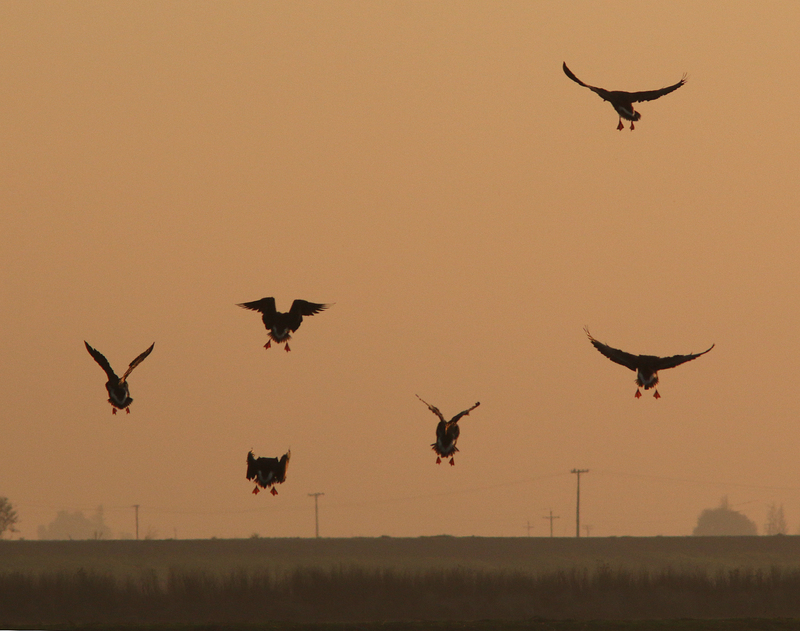 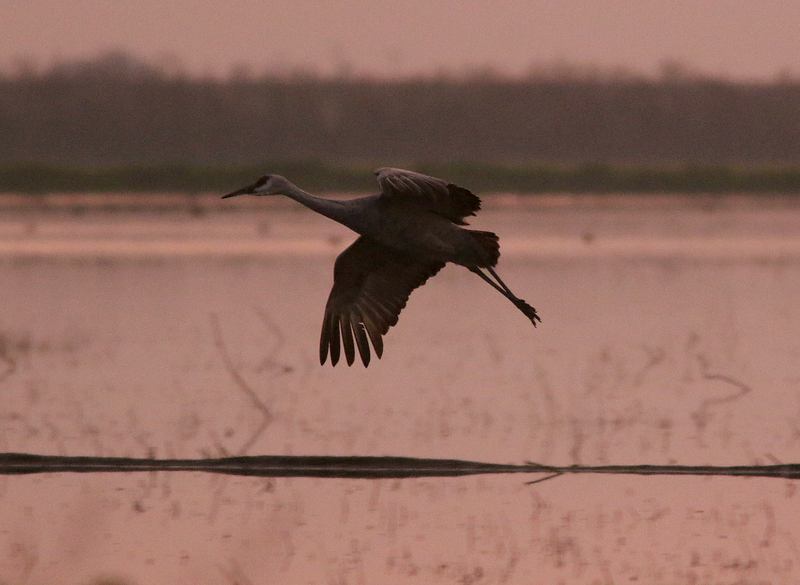 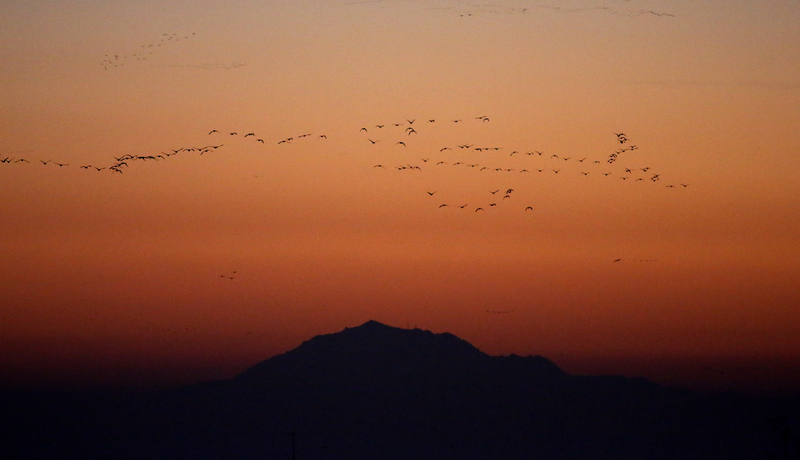 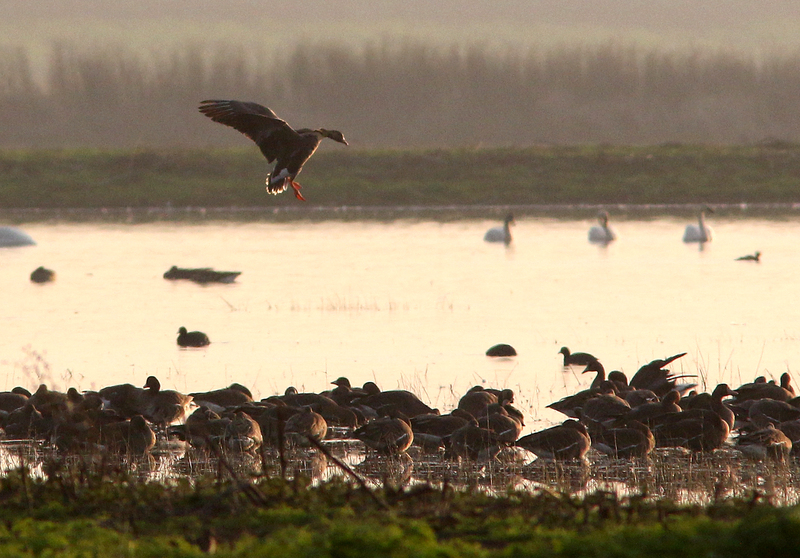 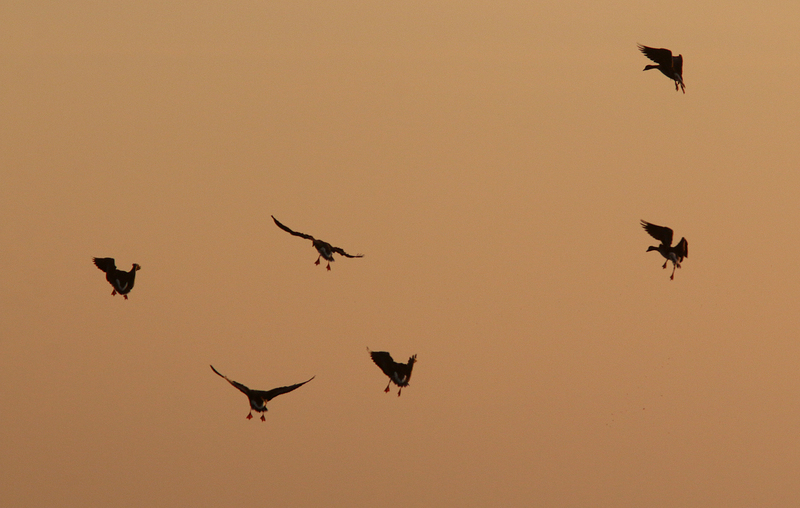 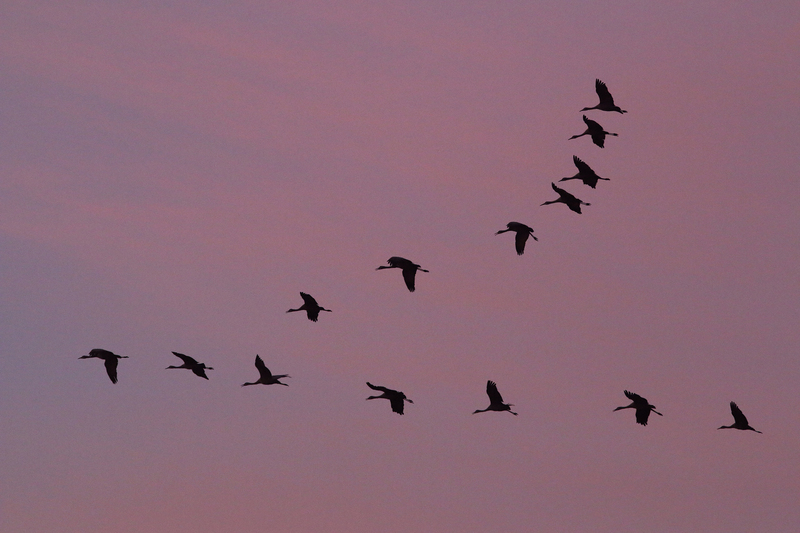 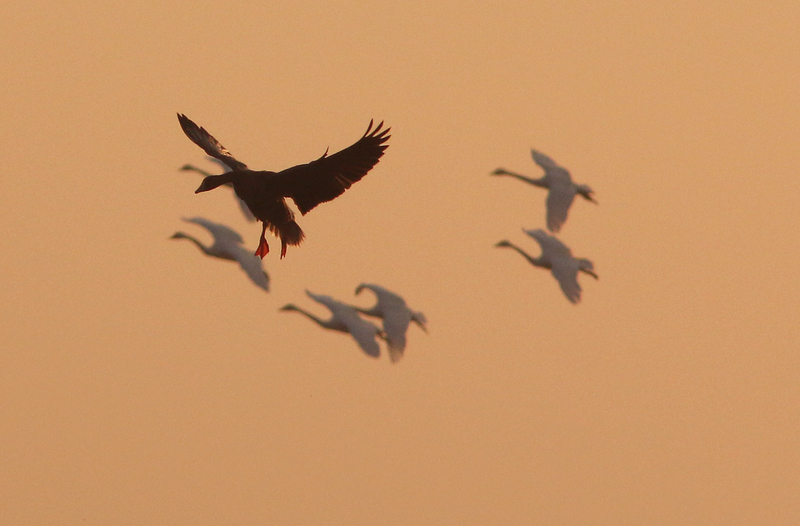 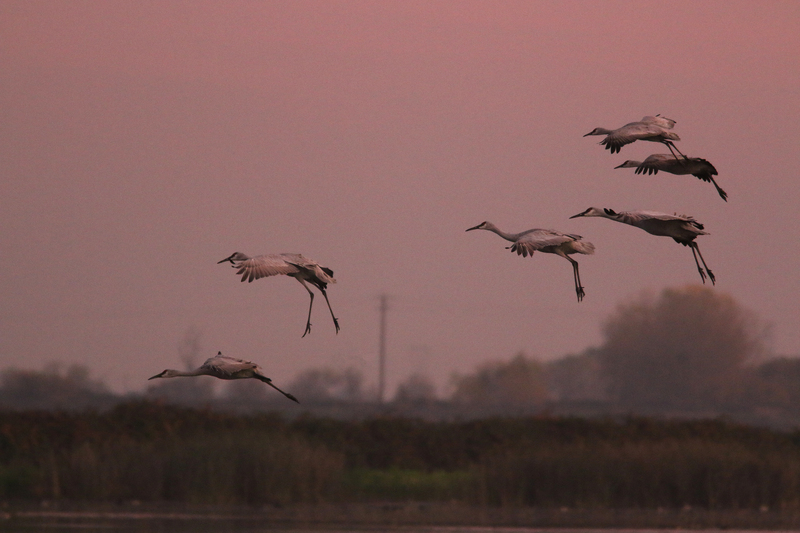 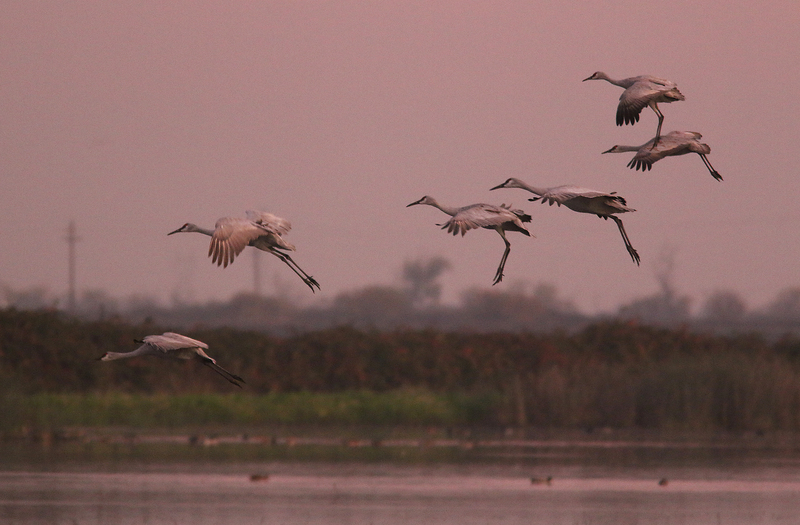 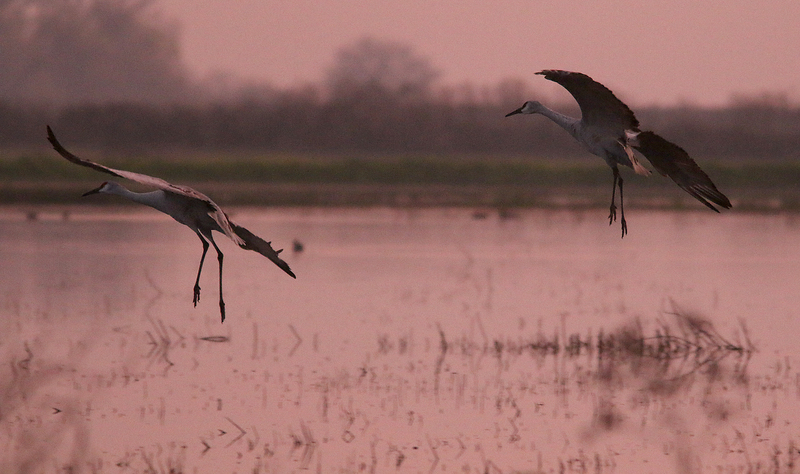 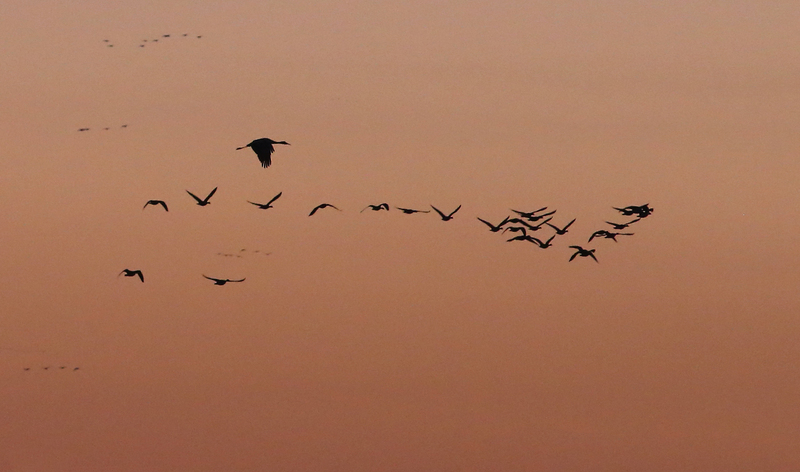 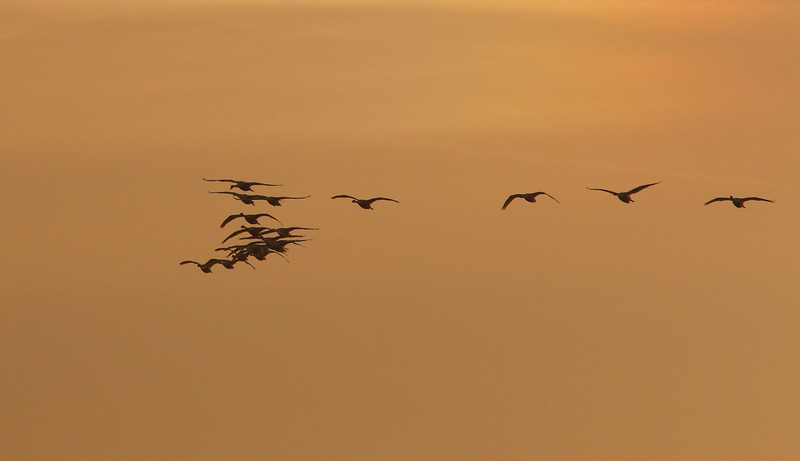 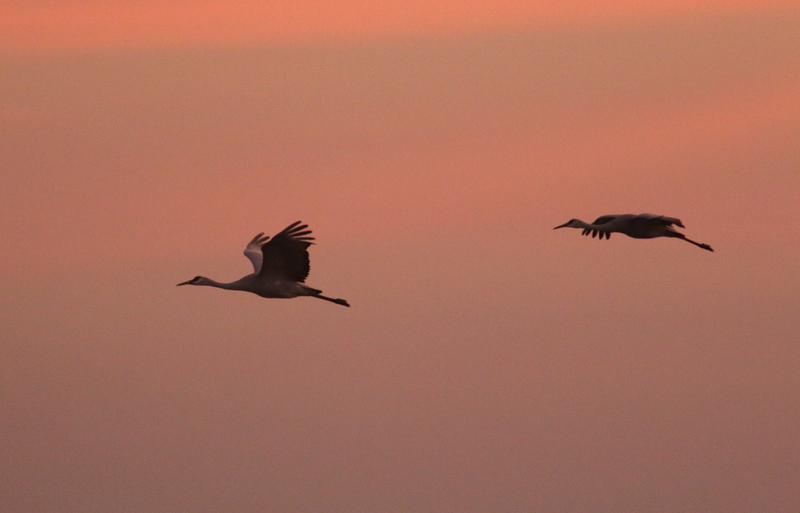 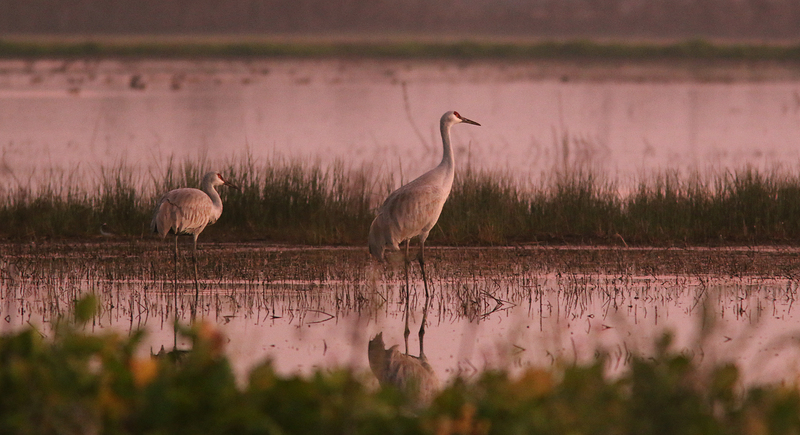 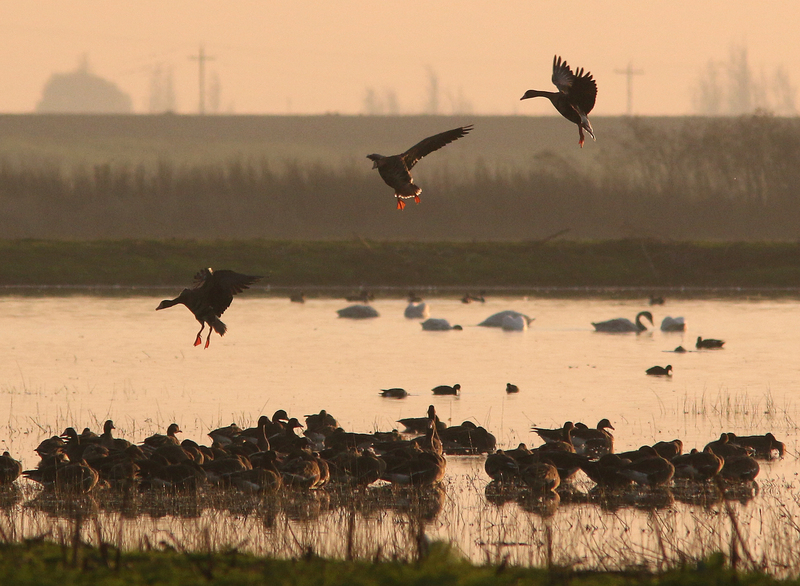 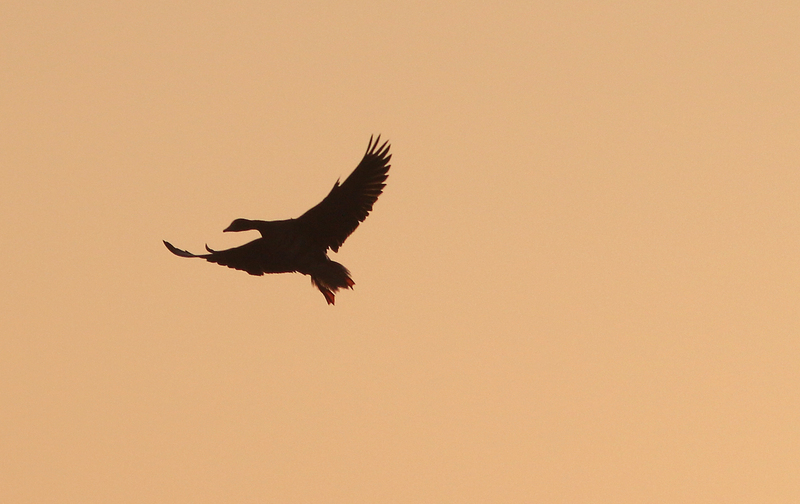 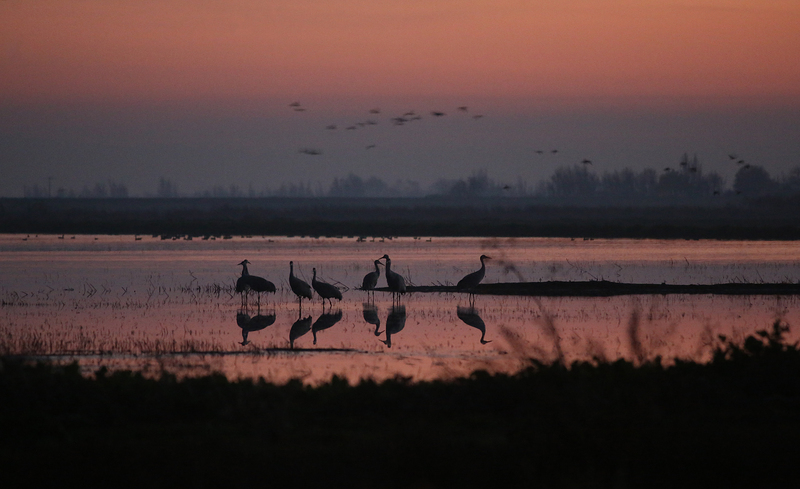 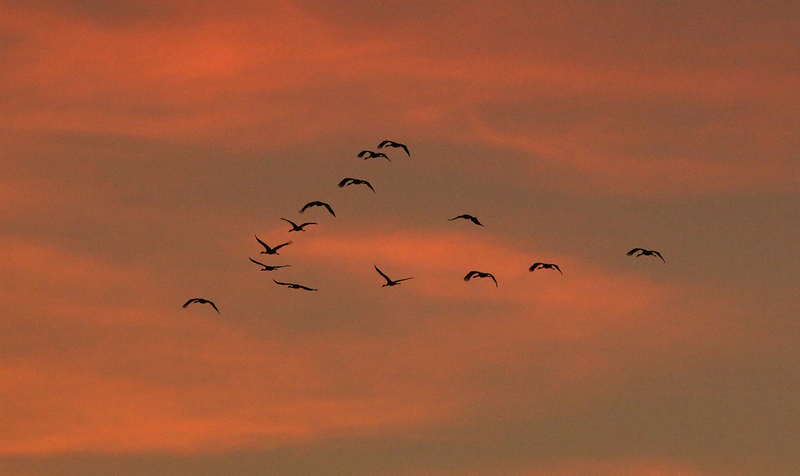 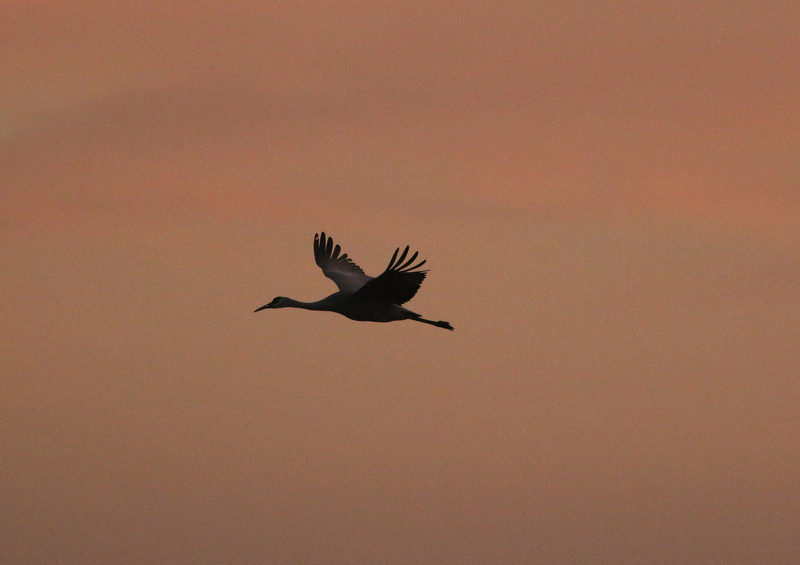 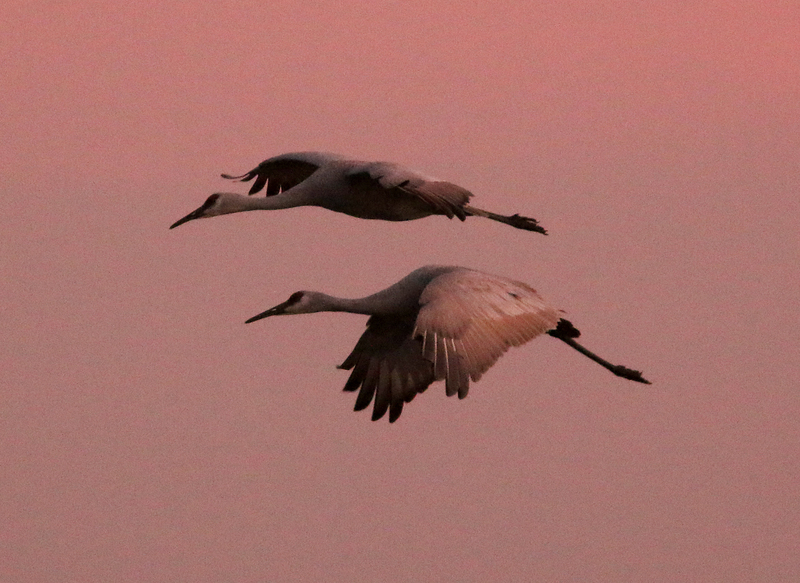 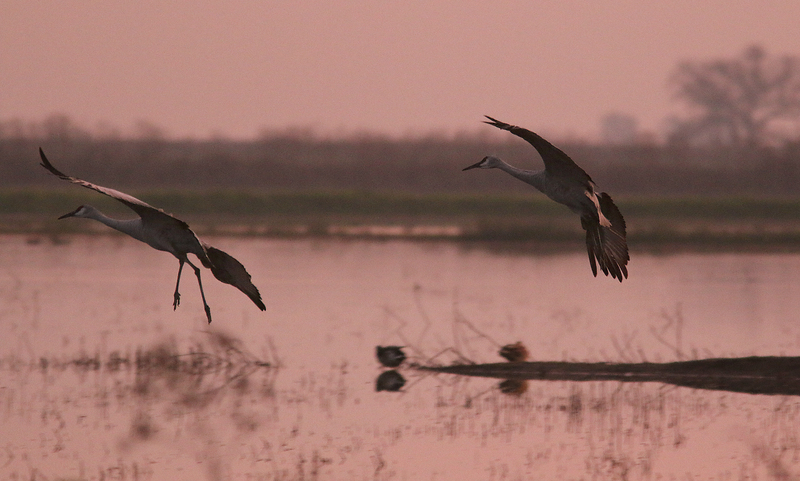 At sundown the first trumpets of the cranes could be heard as a few flights passed by. 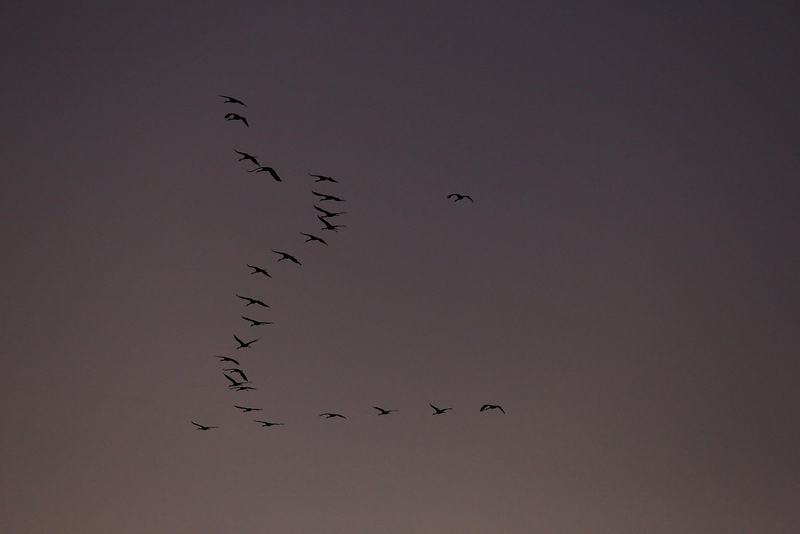 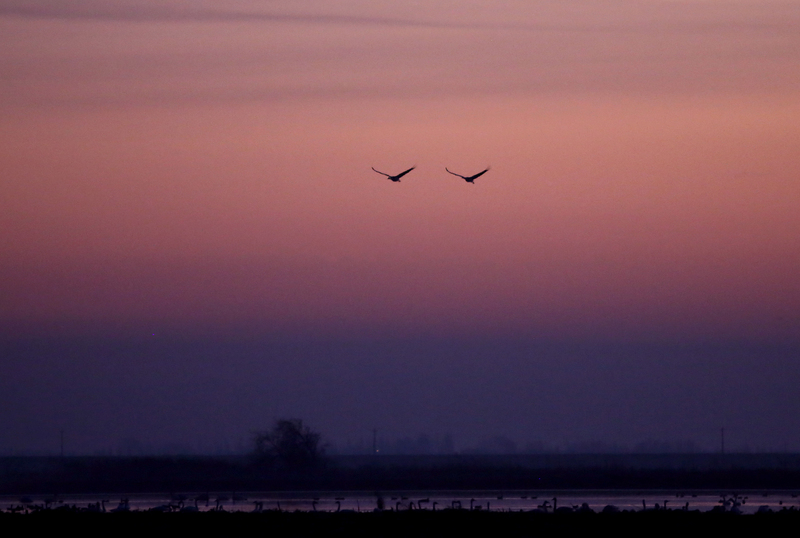 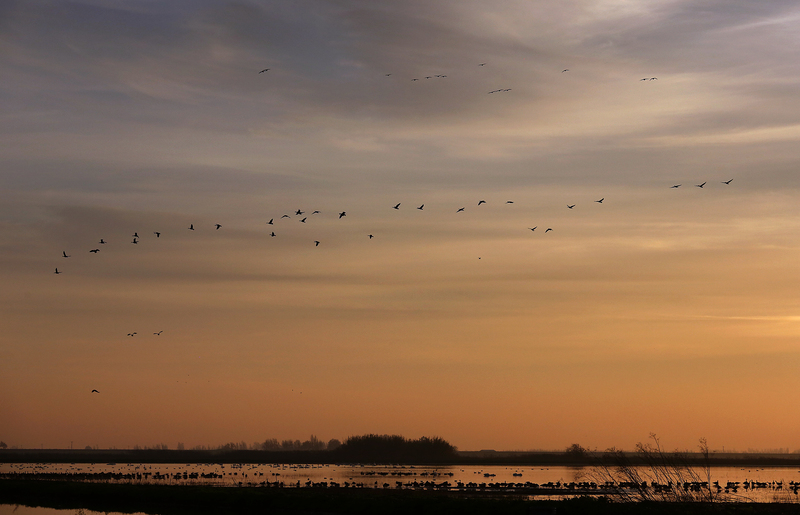 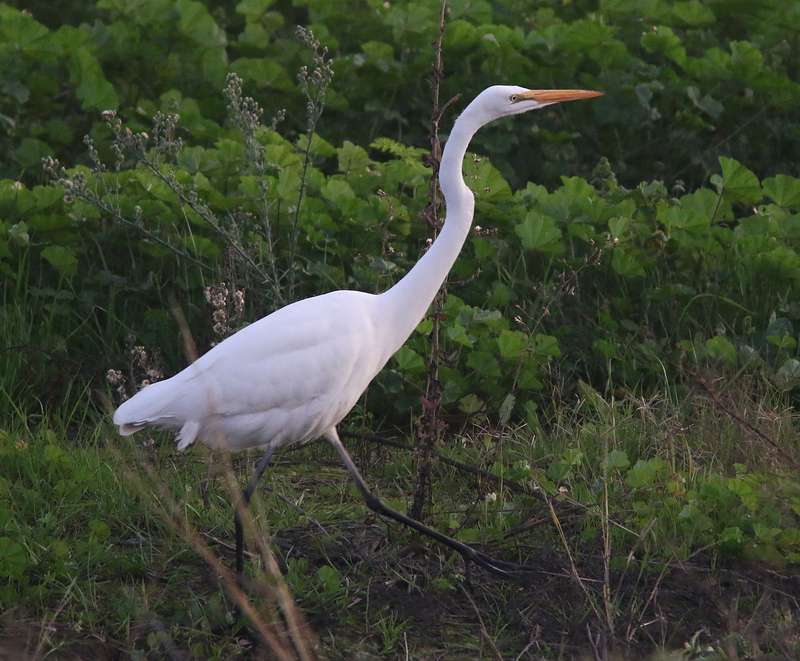 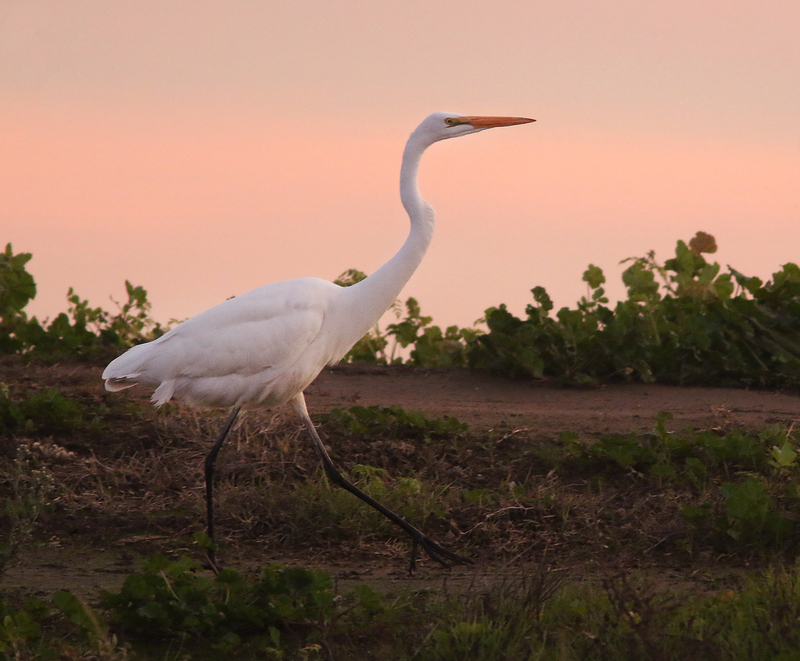 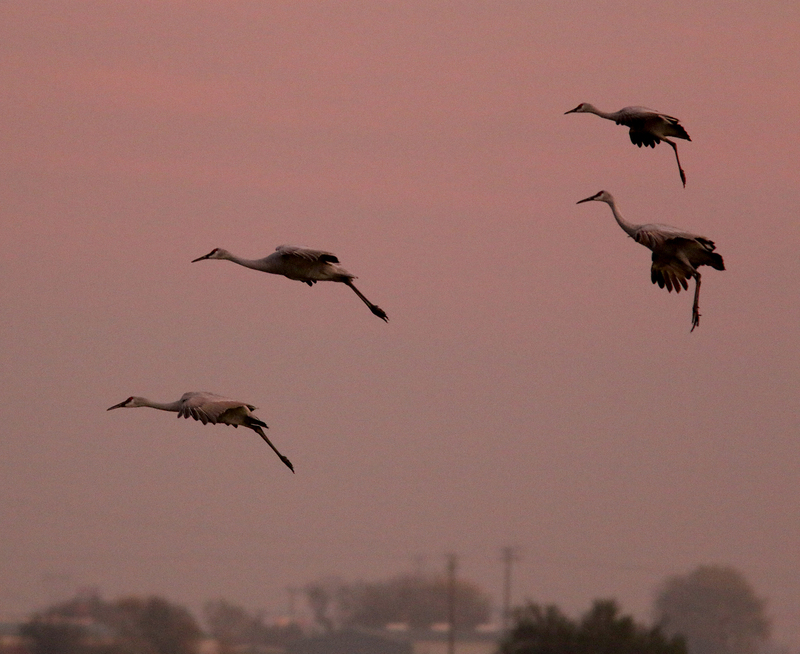 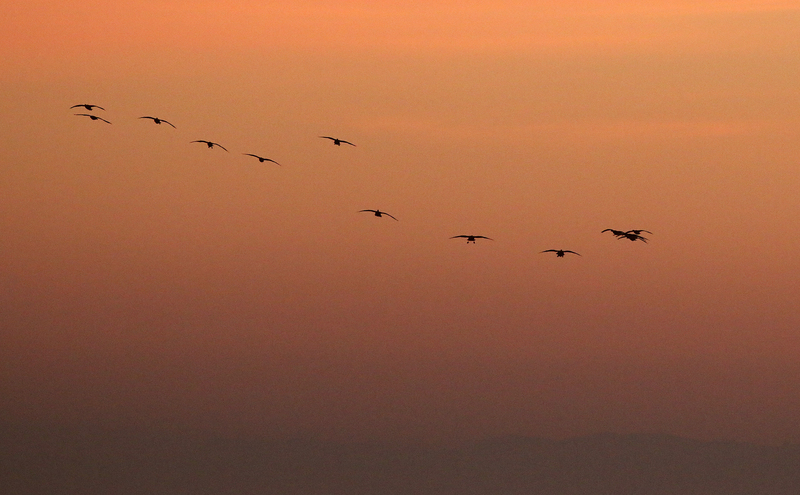 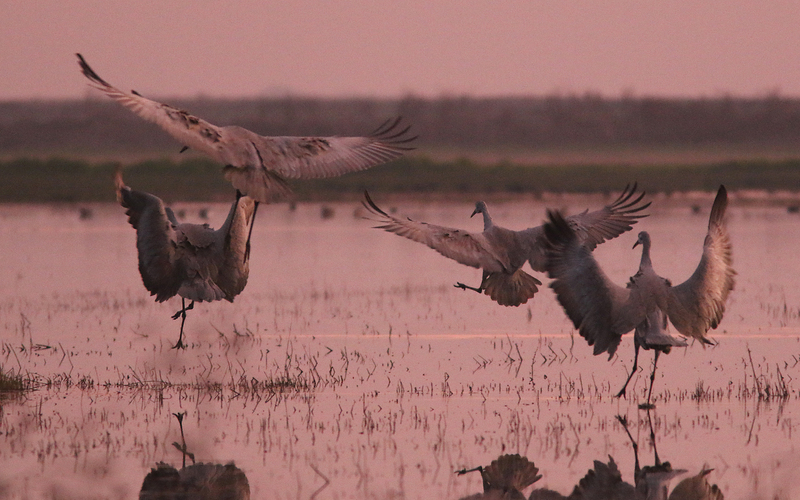 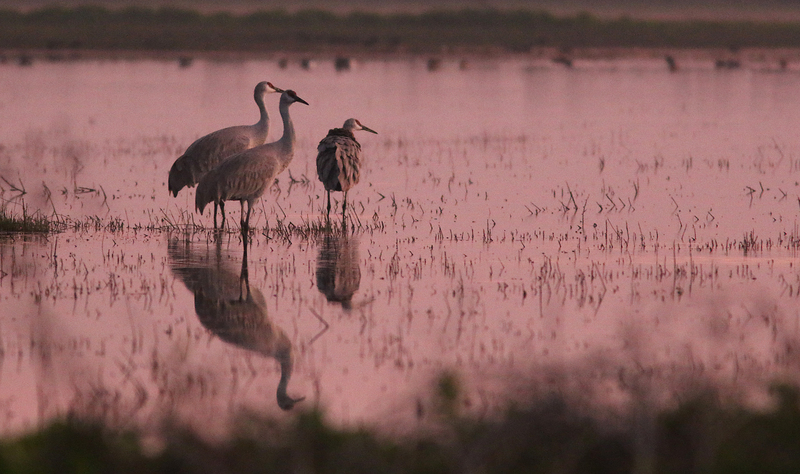 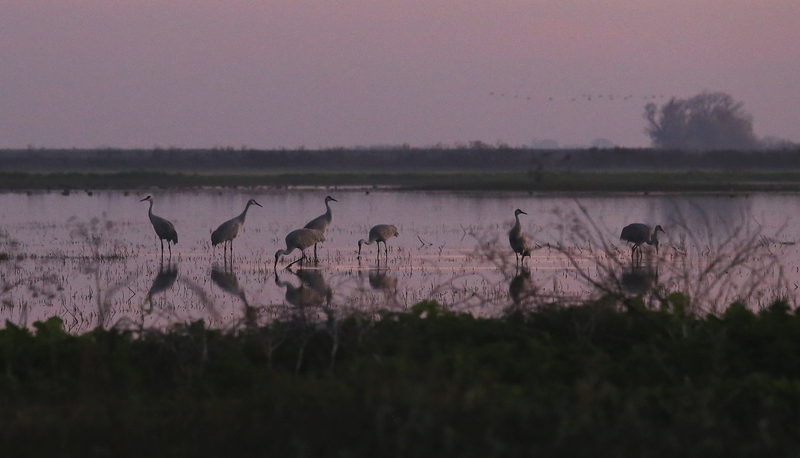 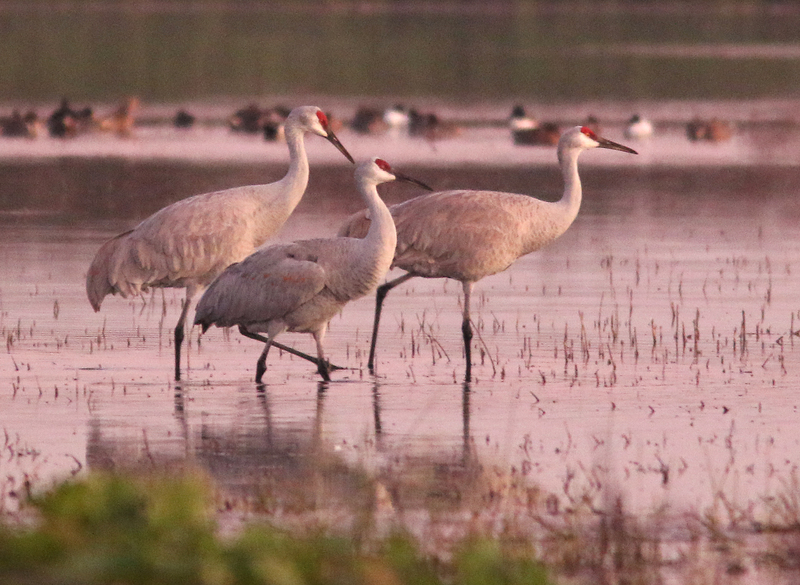 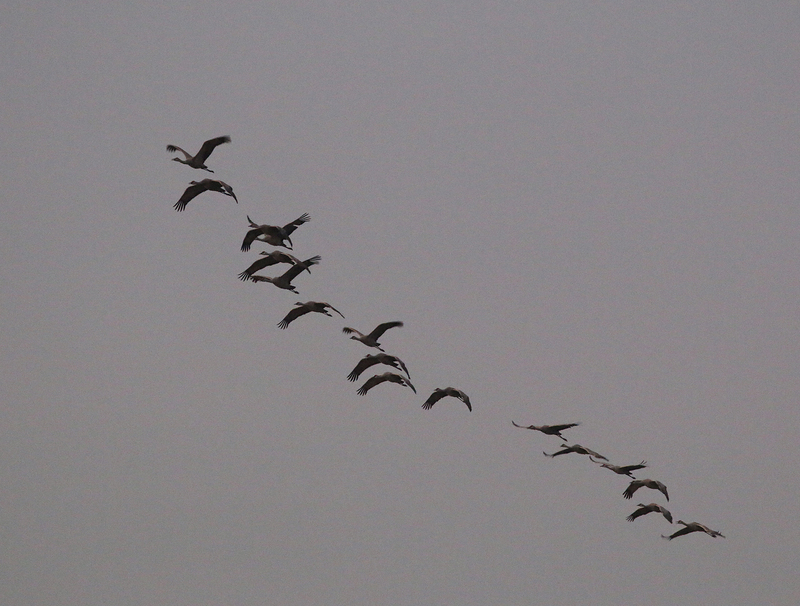 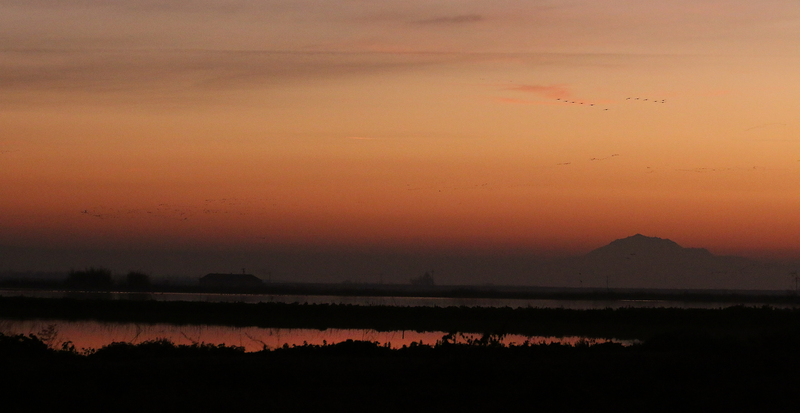 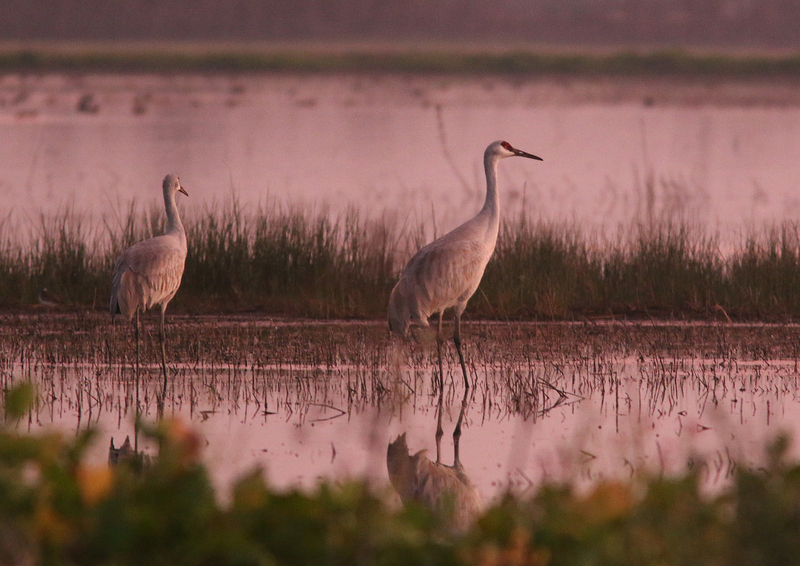 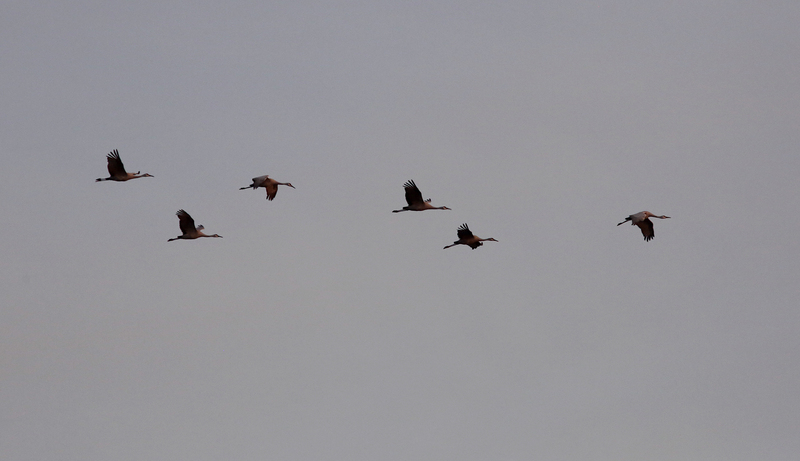 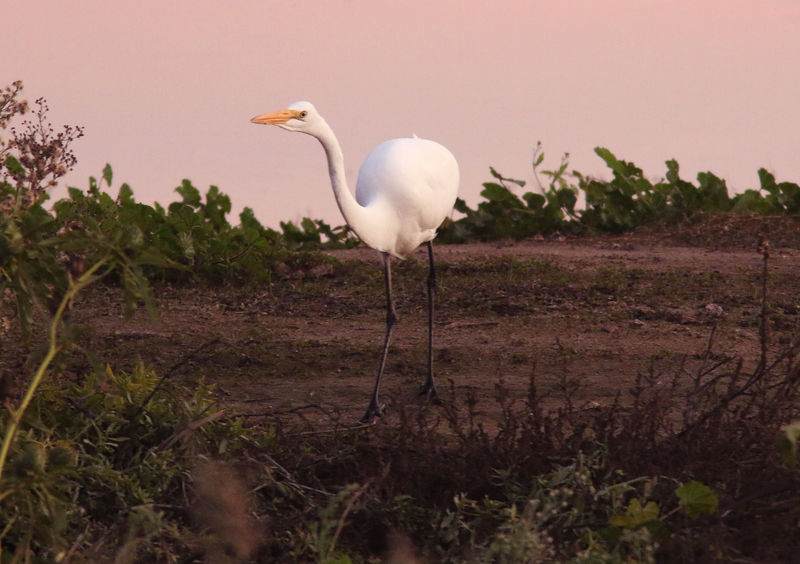 Only a handful of cranes turned toward the wetlands to stay for the night. 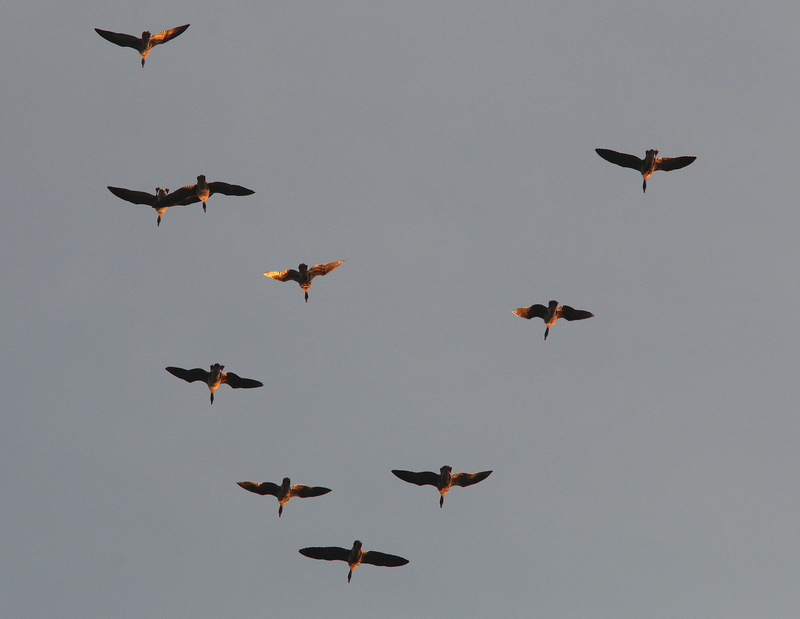 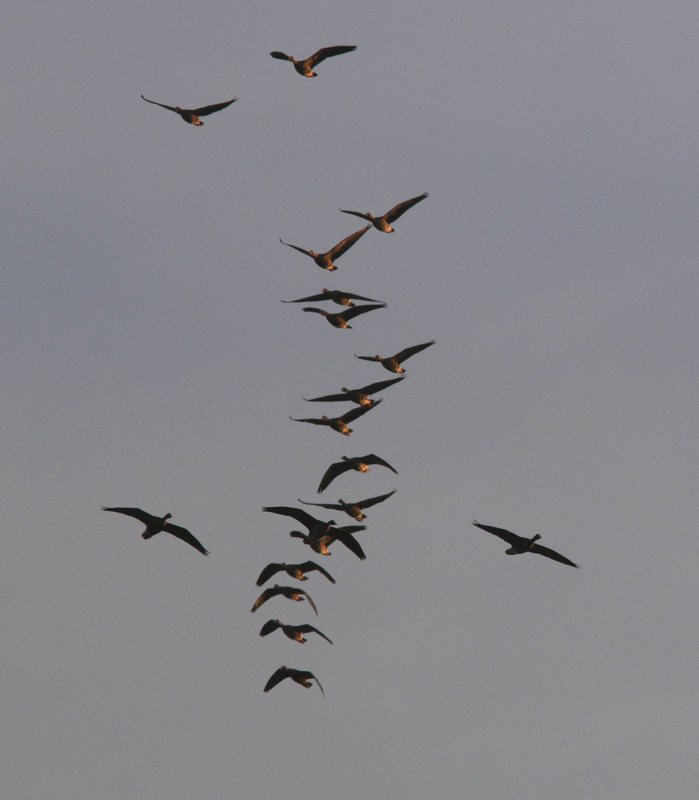 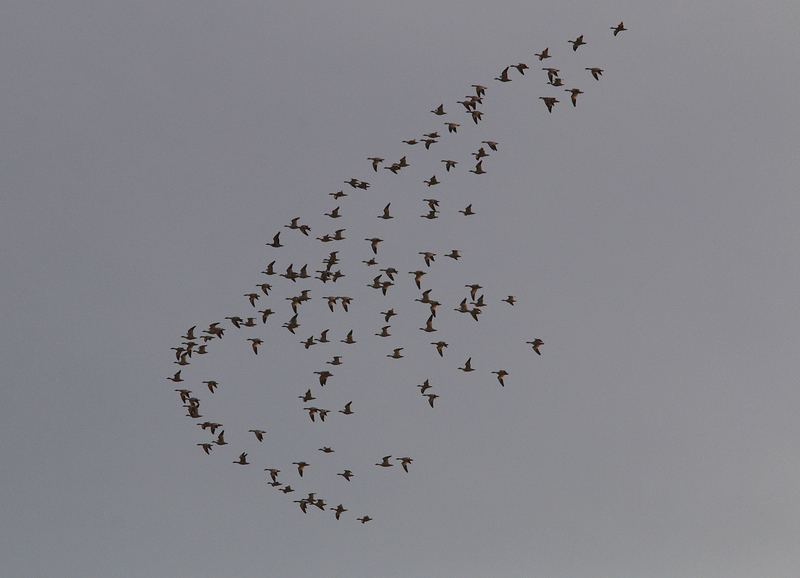 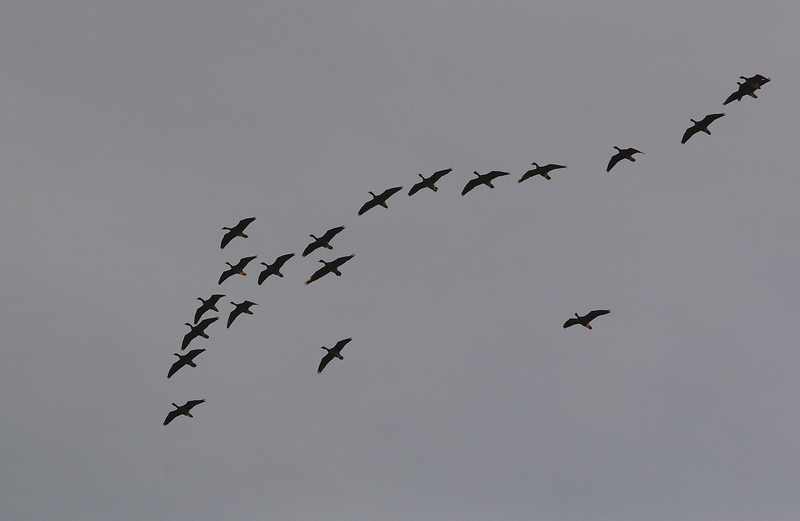 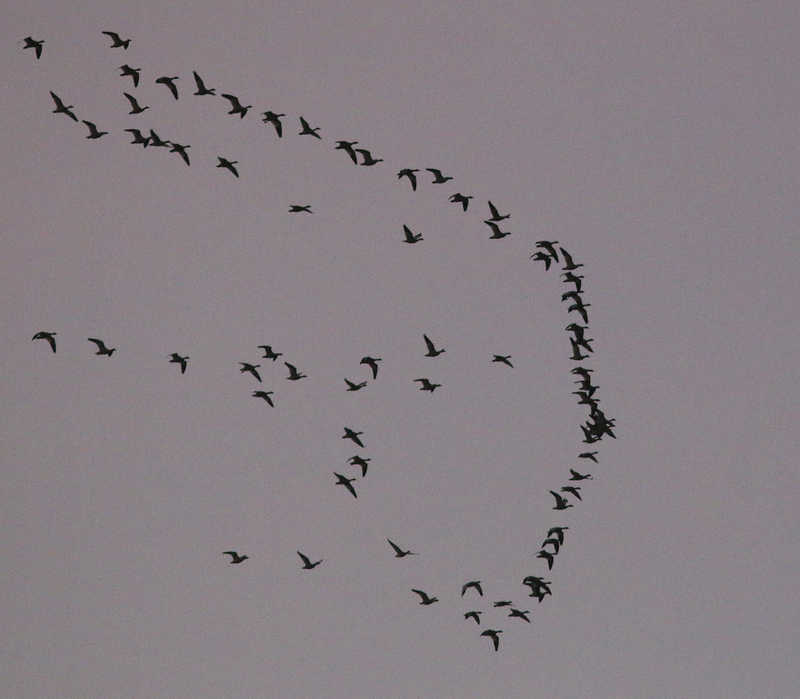 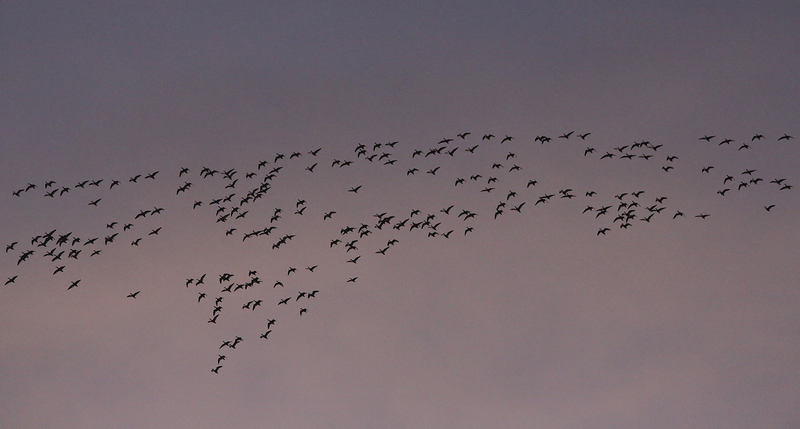 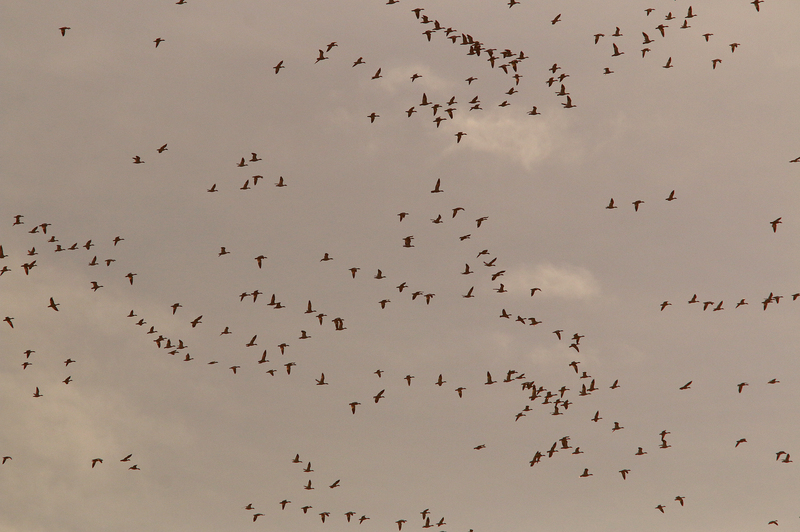 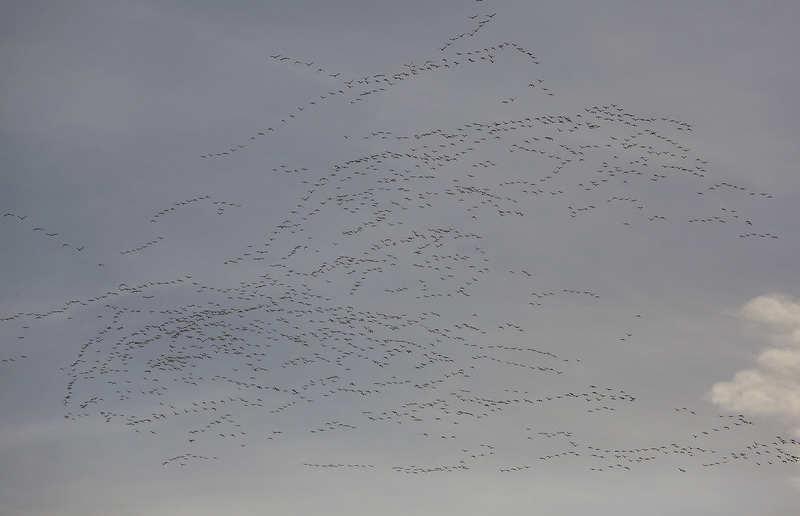 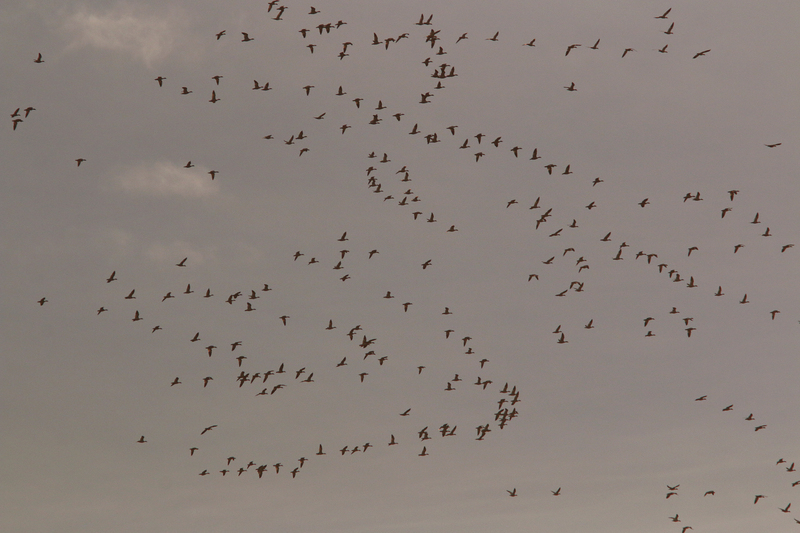 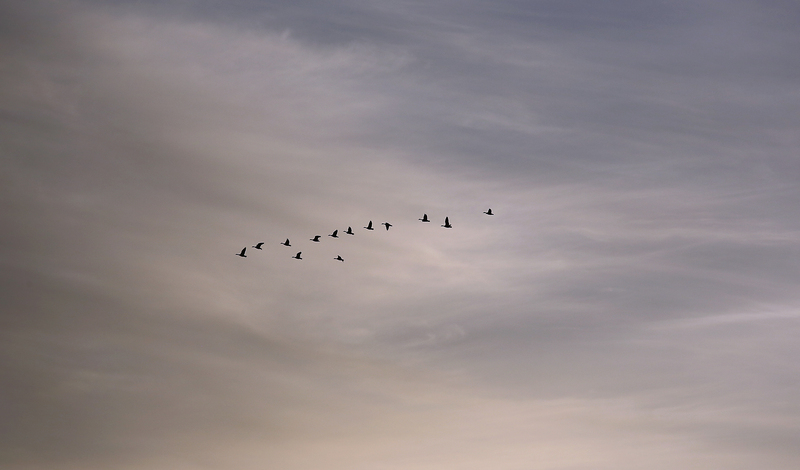 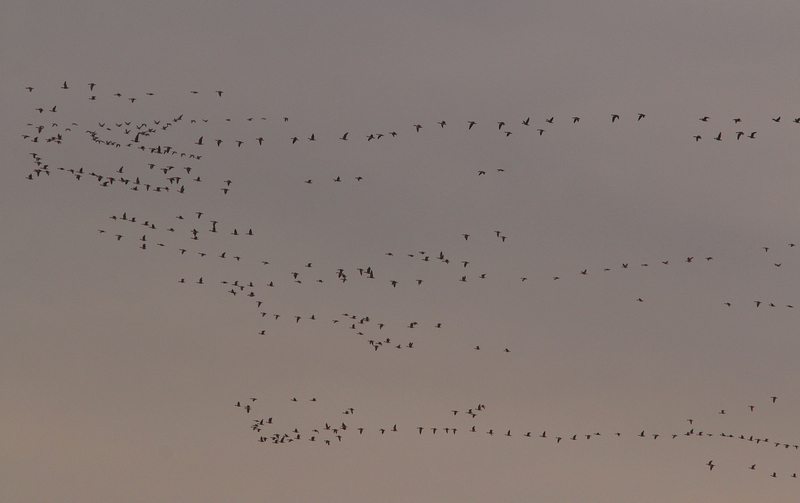 Overhead flocks of ducks and geese wheeled through the air in a variety of formations. 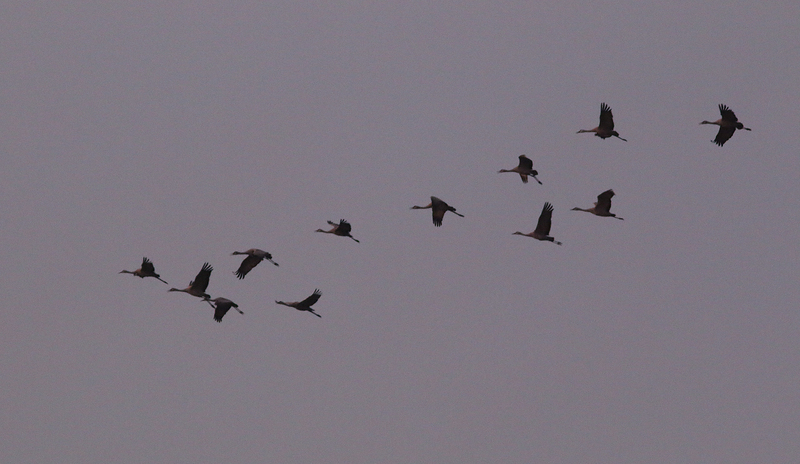 I think the crane season has passed for the year at Isenberg. 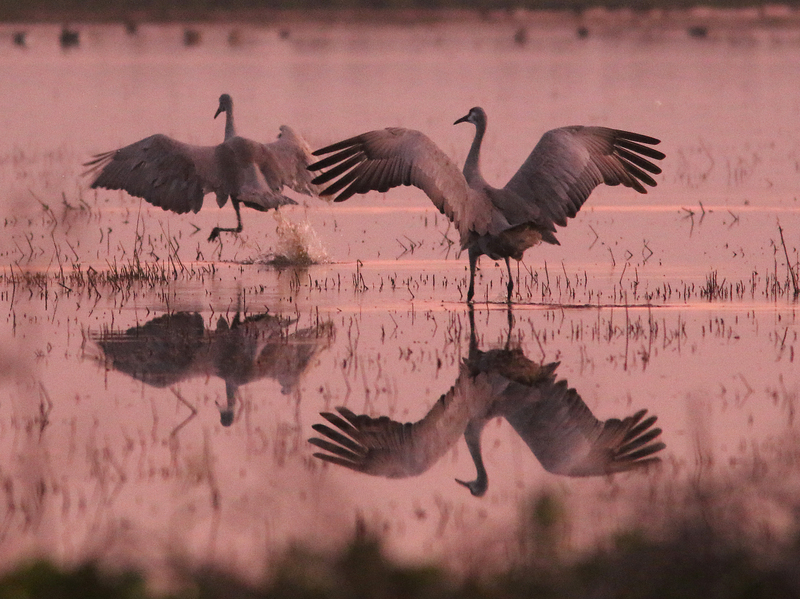 The cranes will continue their journey and will eventually return in September bringing new opportunities to view their colorful flights. 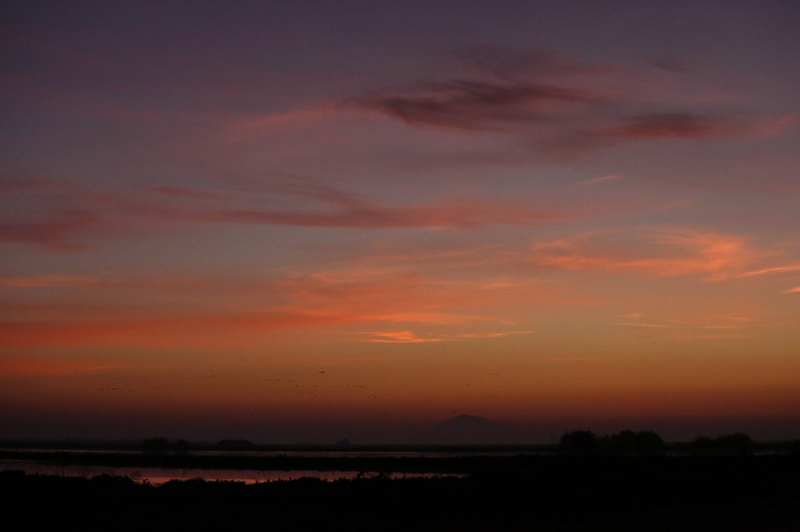 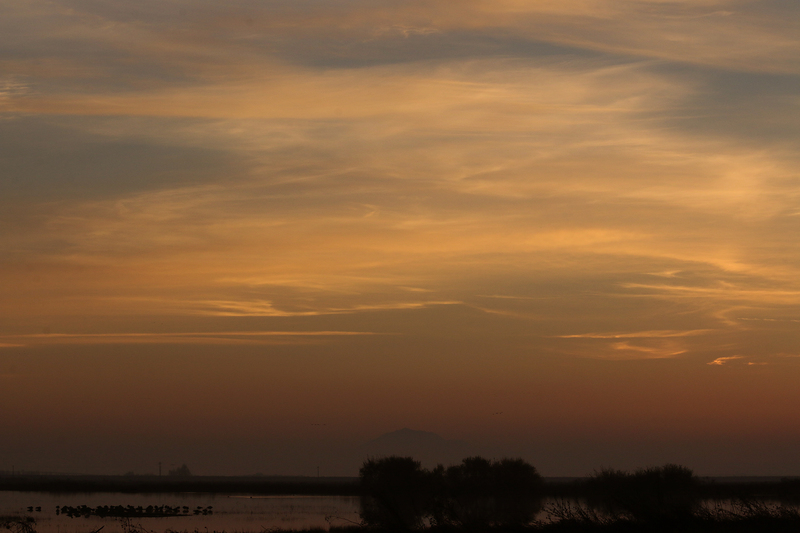 For now I’ll look back on my last trip of the season, filled with the warm hues of a grand sunset fading past Mount Diablo. 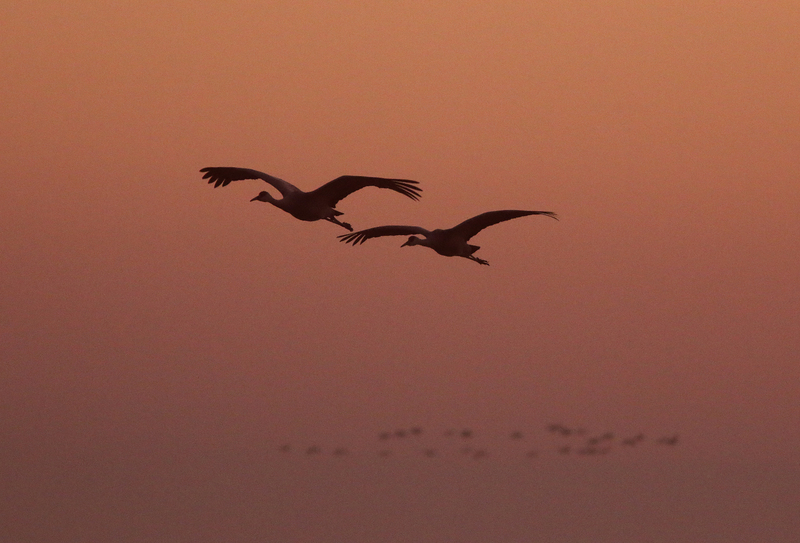 It was a great way to the end the sandhill experience for the year.